Given the luxury and prestige of yachting, you would think that having an impressive, carefully selected wine list on board would be standard. That’s rarely the case, however. Over the last 15 years of supplying and consulting in the industry it is clear that finding a great wine selection on yachts is indeed rare. This is very understandable though. First, yachts do not have sommeliers on board. There is generally nobody on the crew with the time, expertise and knowledge needed to craft a well-planned list, as there would be in any top restaurant. This is not to downplay the great wine knowledge of many crew members, but rather to highlight that the role of sommelier simply does not exist here. Instead, this work tends to fall to somebody like the Chief Steward or Chief Stewardess, who will have many other duties and from whom it would be unfair to expect the sort of in-depth wine knowledge you’d expect of a sommelier or other wine professional. There is also the issue of crew turnover. Yachts frequently change crew, and so wine selections tend to be incomplete or scattered. New crew members may want to add their preferences to the list, which may not necessarily be in tune with the existing list. Another consideration is the preference of the yacht’s owner. Some owners have very strict guidelines on which wines to keep on board, leaving the person in charge with no choice but to follow instructions. Owners’ requests are often heavily label-focused, with choices made on perceptions of prestige as opposed to any particular wine knowledge or insight. That’s not all. Yachts that are for charter may have separate selections for the owner and charter guests. Space and storage are also a major concern. With respect to these and many other issues, it would be impossible to suggest a one-size-fits-all wine list solution. Each yacht has its own combination of variables in play and will need its own approach to wine selection. Instead, I will give guidelines on how to create a good, balanced and broad wine selection that will have something for all palates, and, most importantly, allow for good food and wine pairing. Before we continue, it’s important to bear in mind that, as with everything in wine, personal preference counts for a lot. What is a great wine list to some might not be considered as such by others. "A great wine list must first and foremost complement the chef's food and be a good representation of the style of cuisine offered. It should have options for many different types of wine drinkers, both regarding price point and style. It must be presented clearly so that it’s easy to navigate for the guest. It must feature wines that are craft products and are not made industrially. When all of that is accomplished, it can reach its highest point: a work of passion for a dedicated wine director or sommelier who knows the wines well and loves sharing them with their guests." Though this definition may appear difficult to attain for all yachts, it is an excellent standard towards which to aspire. Keep it in mind when you start putting your wine selection together. First, though, let’s look at the basics: the structure of the list, wine styles and presentation, followed by some tips on how to manage your wine selection. A wine list should be structured in a logical order, echoing the format of the meal. It should start with sparkling wines, followed by whites, rosés, reds and dessert wines. Under each category, the wines should be listed according to their origin. The way to structure the list depends on the size of the selection of course. If a yacht has less than ten references each for red and white wines, it’s sufficient to simply list them under the categories “white wine” and “red wine”. For a medium-sized selection, it is suitable to list the wines under their different countries. For more extensive ranges, the wines should be organised by country and region. To illustrate, an example: Under the heading of “White Wine”, a logical place to start would be “France”. Under the sub-heading of “France”, you would then list the different regions whose wines are represented. Typically, you might find “Loire”, “Burgundy”, “Alsace”, “Rhône” and “Bordeaux”. Then, list your Italian whites. If you have a broad selection, you should also list these under regional subheadings, though for shorter lists the simple heading “Italy” will suffice. Follow this model too for your red wines. For rosé and dessert wine, it is enough to simply list the wines under the category headings “Rosé Wine” and “Dessert Wine”. When listing the names of individual wines, use a consistent format. Start (or finish) with the vintage, followed by the name of the producer and the region of origin. For example, simply listing a wine as “Puligny-Montrachet” is not sufficient. This is just the region, and without stating the producer and vintage it doesn’t offer the client enough information to make an informed choice. This may seem obvious to many, but I have seen lots of wine lists where basic information is missing. Below you can find and example wine list in a logical structure for a small to medium-sized selection, grouped by country and with the wine names written out in a logical manner. Please note that the aim of this list is simply to show how to structure a list generally and not to specifically recommend these particular wines. A good wine list should have something that pleases all palates and enables good food and wine pairing. This requires some thought regarding the styles of wine chosen. I have sometimes come across lists with only oaked Chardonnay, for example, and though this is a lovely and classic style, it is not to everybody’s taste and will not be suitable for all types of food. It needs to be accompanied by other styles if the list is to be balanced. Let’s start with the sparkling wines as this is where a meal tends to start. I recommend stocking at least one Brut Champagne, one rosé Champagne and one or two prestige Champagnes, such as Cristal or Krug. Prosecco is very popular and thus may make a welcome addition. Another option is Franciacorta; another Italian sparkling wine made using the traditional method. A quality Spanish Cava will also make a good addition. In white wine, it’s important to have at least three or four different styles represented. First, you’ll want crisp, light and unoaked whites, like most Sauvignon Blanc, Chablis and Pinot Grigio. The second style should be medium to full-bodied oaked whites like Puligny-Montrachet, Meursault, and New World Chardonnay. A third style would be aromatic whites with some residual sugar, like an off-dry Gewürztraminer or Pinot Gris, to go with more exotic spicy dishes. For rosé, most people like crisp, fresh and fruit-driven styles, so this is a must. Lately, there has been strong growth of more serious wines in this category so I would recommend adding an oak-aged version too. Your red wine selection would cover light and full-bodied styles. Lighter styles relevant to yachting will typically be quality red Burgundy, from the Pinot Noir grape. Fuller-bodied wines can include Bordeaux, Tuscany and lots of New World reds – though, of course, this is a broad generalisation. If possible, also try to have a variation in maturity levels, so that all wines are not from the same vintage and your guests can enjoy both young and old wines. Dessert wine is a category that is very limited in yachting – and, sadly, in the rest of the world! Nonetheless, you should have a couple of dessert wines on every list. You should stock a Sauternes and something from another country or region, such as Alsace, Vin Santo from Italy, or Tokaji from Hungary. Regarding producers, I recommend that you look further than famous brands and well-known names, though it will be necessary to stock some top labels too. Ask your suppliers for smaller producers that can often offer more interesting and better value wines. With regards to origin, try to stock wines from different countries. 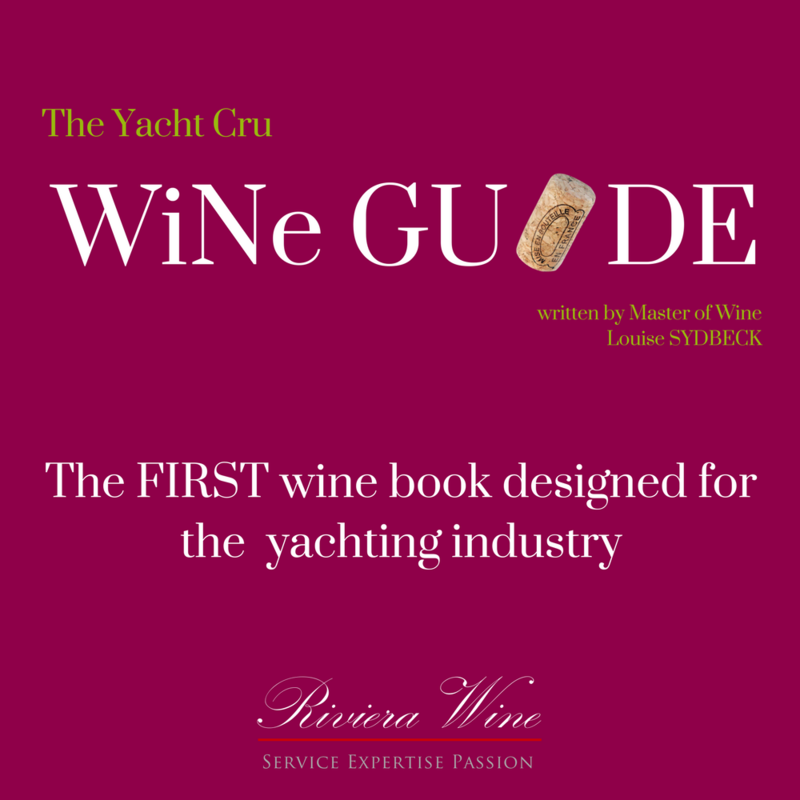 Though France and Italy are the most important wine countries in the yachting industry, I recommend that you also add a few other countries to the list. Given what we discussed in the introduction, however, it is difficult to give precise recommendations – there are so many variables in yachting that you simply don’t find elsewhere. Thus, these are guidelines to point you in the right direction as opposed to being definitive or exhaustive instructions. With your structure in place and wines selected, you must decide how to present your wine list. It should always be housed in an exclusive binder, printed on top quality paper, and be frequently updated so that the wines and vintages on the list are accurate. Beyond this minimum standard, you could also choose to add descriptive tasting notes. This is entirely optional, and there’s no right or wrong approach. Most top restaurants will not list tasting notes, though some will and many consumers find it incredibly helpful. If done well, it can show some extra commitment on your part and add value for the owner and charter guests. If you choose to include notes, make sure only to include relevant information relating to the wine style and quality, and avoid technical details. You will find tasting notes online through websites like www.robertparker.com and www.vinous.com. Many tasting notes will include numerical scores; I do not recommend adding these to your wine list as consumers then tend to look only at the score and not the description. Managing a wine selection on a yacht is different and far trickier than in a restaurant. As a yacht moves around, it may prove difficult to source the wines you need in some locations. There are often several people involved in purchasing, which can complicate things. For example, let’s say the owner has gone ashore and has a fabulous wine in a restaurant. He decides that he wants to stock it on board and orders 24 bottles, which are promptly forgotten about. A charter broker may have placed an order for a guest trip and find a large amount of leftover wine. For the past three seasons, new crew members may have been ordering what they felt suitable. Put all of this together, and you end up with quite an incoherent selection of wines that can be difficult to manage. This is part and parcel of yachting, however, and is probably not going to change any time soon. To make things as manageable as possible, I recommend that you regularly take stock of your inventory to verify state and maturity of the wines. This will not be new information for many of you, so apologies for sometimes stating the obvious, but this is important and well worth doing. Look for wines that are too old for consumption that can be gotten rid of to free up space. For example, Provence rosé, Pinot Grigio and most New Zealand Sauvignon Blanc should all be consumed within a couple of years to show their best. On the other end of the spectrum, you may have some old and expensive Bordeaux wines that are heading towards the end of their drinking window and should be consumed within a year or two. Taking stock and making evaluations like this regularly allows you to keep track of what you have. You can suggest wines to the guests accordingly. If, for example, you have a single bottle of an expensive, mature Burgundy from a top producer, perhaps suggest that the owner and his wife have it over dinner so that it’s not forgotten about. For young and fresh wines, parties and events where wine is not in focus is a good opportunity to serve those that are approaching the end of their drinking window. Another way to streamline your selection is to serve wines whose stock is running low, where you only have one or two bottles left and don’t intend to restock the same ones again. One way to do this is to organise a pre-dinner wine tasting for your guests. We often offer this to our clients, and they always an appreciated activity. Another way to do it that doesn’t require having a wine expert on board is to serve several wines within one meal. For example, you might serve a white wine with the starter and then set the table with two white wine glasses for each guest. You may serve two different Chardonnay wines, such as one from Puligny-Montrachet and another from Napa Valley. Read up a little bit on the two wines and then present them as part of a “wine tasting dinner” for your guests. Do the same for red wines, and you’ll create a talking point for your guests – while also cleaning up your wine cellar! In conclusion, creating a good wine selection and managing it properly requires some thought and knowledge. If you feel that you don’t have the experience or time to research, then ask your wine supplier for advice and recommendation. We are always very happy to help, too, so get in touch if we can be of assistance!